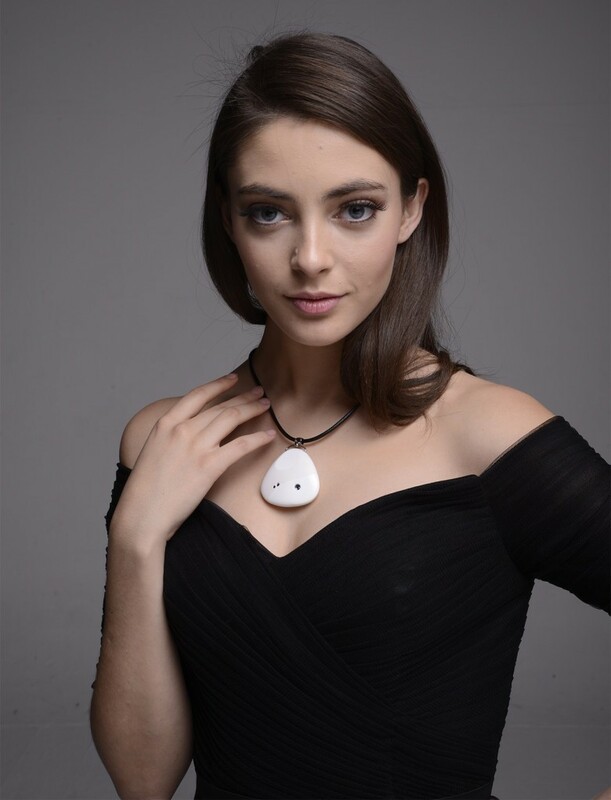 The Miragii, a ceramic pendant created by a company with the same name, also holds a Bluetooth earpiece that syncs with smartphones for calls that do not require the wearer to pull out their phone. 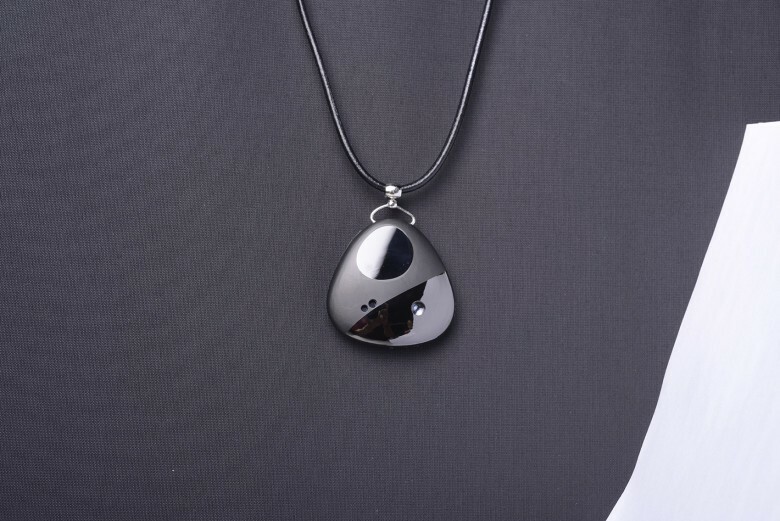 The Miragii necklace made its debut in January at the 2015 CES in Las Vegas. Women make up about half of the world’s population, but reports show more than 60 percent of the buyers of smart watches are men. Apple Watch has tried to bridge the gap with a smaller watch face, a variety of bands and apps that appeal to women, but some in the fashion industry see the first Apple Watches as masculine. Some companies tailor products for women. Fitbit recently commissioned fashion designer Tory Burch to produce a leaf-shaped pendant that connects to the Fitbit Flix. Still, experts say wearables have to do more than just look pretty. Miragii’s functions come alive with hand gestures. Wave the hand in front of the projector’s lens and then place out front to read messages on your palm. An incoming call can also be sent straight to voicemail with a simple hand wave. Miragii is trying to raise $75,000 on Kickstarter to produce in volume. Don’t need to read your messages on your hand? For a $139 pledge, you can get a necklace without the projector. For $299, about $100 less than what it is expected to retail for, a backer can get the projector version. The wearer can read text messages on their hand that come from a micro projector located in the pendant. 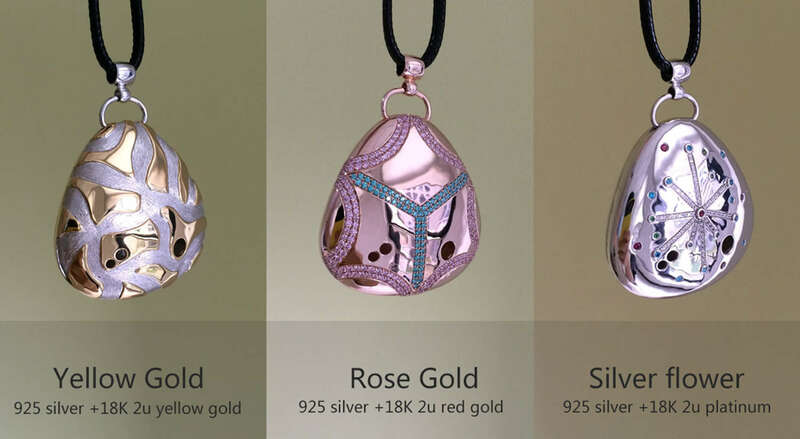 The Miragii comes in white or black on the low end or Lorenzo-designed pendants in yellow gold, silver and rose gold that eventually will retail for more than $1,000. Some of the higher-end Miragii pendants in gold and silver. Miragii will have to download a mobile app to their phones. The necklace works with both Android and iPhone.